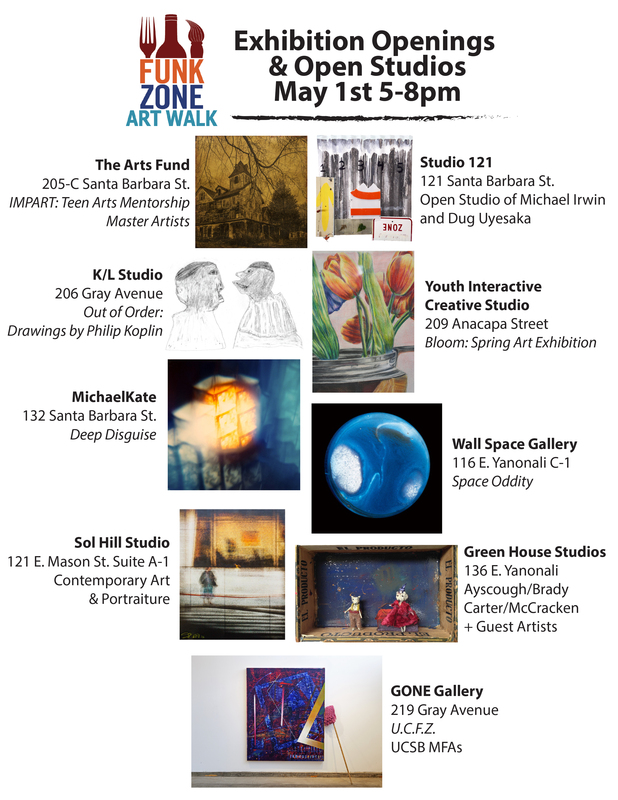 Funk Zone Art Walk – May 1st! It’s spring and time again for the Fun Zone Art Walk. Join us in the neighborhood for an evening of spectacular art. We are thrilled to have new venues join the walk this round, and open studios with some of Santa Barbara’s most talented artists. ← map of the Funk Zone? we have that.